Kikay Corner > Lifestyle > Be the next Michael Christian Martinez! Be the next Michael Christian Martinez! As the first ever South East Asian figure skater to enter the 2013 World Junior Championship and giving an impressive performance at the recently held Soichi Winter Olympics, there’s no stopping Michael Christian Martinez in reaping honors for the Philippines as he recently bagged the much coveted gold medal from the Triglav Trophy International Figure Skating Competition in Jesenice, Slovenia. Martinez’s success is not an overnight thing but the simple decision of his mother and himself to get into the sports changed his life. His achievement is indeed phenomenal but the good news is if you’re open-minded and committed to learn the skill, you too can be like him! SM Skating Rink operated by SM Lifestyle Entertainment, Inc. makes this possible as it provides the facilities and programs for the young people who want to develop and hone their skating talents, and who aspire to be the next Philippine Olympian like Michael Christian Martinez. SM Skating Rink offers various skating lessons in its premier branches in SM Mall of Asia, SM Southmall and SM Megamall. For only P 300 on weekdays and P 390 during weekends and holidays, you can learn different skating moves by availing open or unlimited skating service offered in both SM Mall of Asia and SM Megamall. 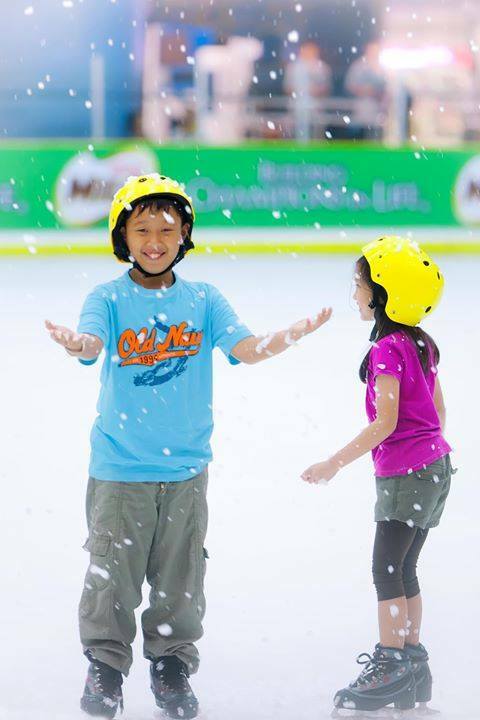 You can learn and have fun in the SM Skating Rink with your friends by enrolling to one of the Freestyle skating courses available in the three SM branches that come in both four and six sessions. You can also skate your way to being a professional skater by enrolling to Speed Skating, the newest course offering in SM Mall of Asia. Top local coaches who were also trained by international skating coaches like Kelvin Nicolle, an international referee from New Zealand who teaches short track speed skating in Singapore, will provide the lesson and training to the enrolees. SM Skating Rink which once served as a training ground for Michael Christian Martinez still provides a house for discovering new young talents. Be part of this and fulfill your dreams in the country’s world-class and only skating rink. For more information, visit www.smiceskating.com or call 556-0471.